Your Laundry Room is an integral part of your household and when something goes wrong the whole house comes to a screeching halt… Especially if you’ve got teenagers, or any kids for that matter. Laundry Rooms often require the services of a qualified plumber for services like washing machine hookups, wash tubs, and especially gas dryer hookups and disconnects. Because of the dangerous nature of working with appliances, flammable gas and high voltage it’s always recommended you get a qualified technician out to take a look. If you’ve just purchased new appliances or you are going through a laundry room remodeling project then you’re going to need our help eventually. 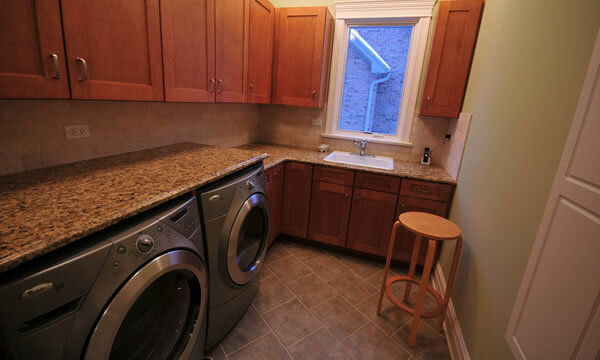 The Plumbers Connection provides these basic laundry room plumbing services and much more. From Laundry Room Plumbing System Consulting to New Gas lines for your dryer to a big tub sink installation, we’ve got your laundry room plumbing needs covered.